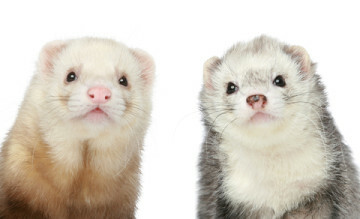 Welcome to the Ferret Shelters Directory – a site dedicated to all ferret shelters, irrespective of size or location, and to the people who help support them. Here are links to the pages that will help you get started and to maintain your listings on this site. Shelter Submissions – link to the site registration form. Can also be accessed through the Shelter Directory Lists tab and clicking Submit a Listing. To submit a listing you must register on the site. It is also shown on the footer of every page. Instructions to register for those who want to read about them are under Shelter Help. Manage Your Listing – link to the log on form. Can also be accessed through the fotter of every page. Instructions are also provided on the Shelter Help page if you need them, but it’s pretty simple once you’ve registered. Shelter FAQs – what’s this all about page. Who, what and why. Shelter Help – instructions for registering, maintaining your listing, adding/editing ferret events. Shelter Resources – a page for shelter discounts, services, specials, etc. We ask all to share freely. Presently this is open and free to all. As this grows in value, it will be made private and accessible only to registered shelters by password only. This will become as valuable as shelters make it.